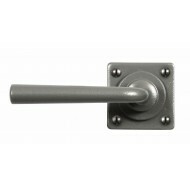 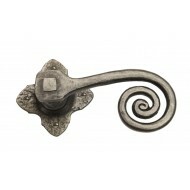 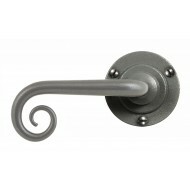 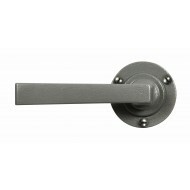 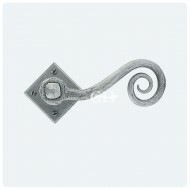 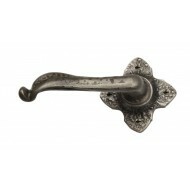 Our range of lever handles on rose in pewter is selected from leading brands Finesse Design, Kirkpatrick & From The Anvil. 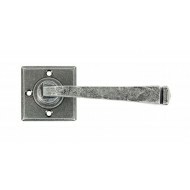 Lever on rose handles often bolt through the door to the other handle to provide a strong fixing, so selecting the correct latch or lock to accomodate this is important. 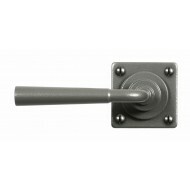 Suitable latch and lock options are shown for each door handle to help you choose the correct fittings. 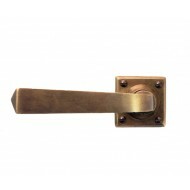 Louis Fraser Lever Handles On Square Rose In Black Bronze Or Pewter.